This has brought a smile to my face. I am so glad to have been working with you Pamela. My property buying days are not yet over... Please keep me in the loop; I love reading your messages. Pamela provided service and was extremely responsive to our changing requests. We plan to keep Pamela's number in our speed dial for future needs. Rental Client - Lakeshore / Parklawn area 110 Marine Parade Dr.
Pamela represented me as a Landlord and boy was she fast and efficient. Pamela did everything including attending the key meeting and connecting me with my new tenant. Pamela is knowledgable about the rental market and the new Ontario Standard Lease. If you want a leasing agent, I recommend Pamela to list, screen and manage the marketing of your rental property! Landlord 59 Annie Craig. Pamela worked with my mom in such a gentle way. She has such patience with people. I like that quality in her. I recommend Pamela Simons, if working with parents. She understands. I was seeking a realtor for about 4 weeks when Pamela Simons took my phone call at her office. I spoke with her a couple of times and was so happy to hear about her story and success that I said “You are hired” over the phone! What do you like or dislike about this Agent: Answered my emailed questions very quickly. I met Pamela at an Investor Conference at KeySpire. I could see she was passionate about helping people get their own investment portfolio started. 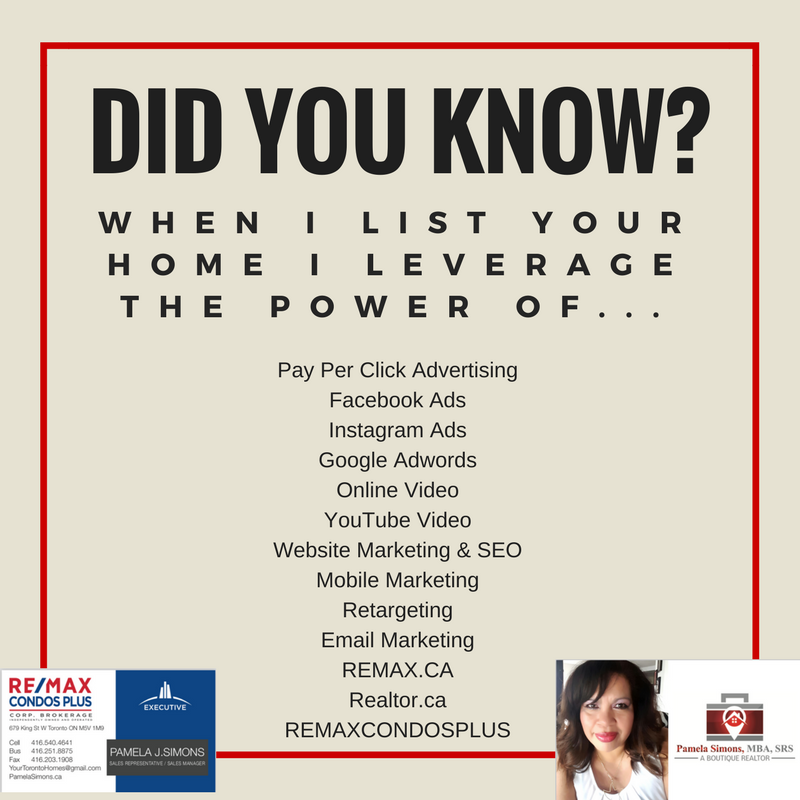 I have since met her for coffee and know you will enjoy meeting her for coffee and conversation about your dreams with real estate! Thanks Pamela!! Pamela didn’t believe I would find a condo in the budget range and then one day it showed up on the listings she sends me and she told me to come immediately to look it! When I said I wanted it, she was extremely fast at preparing the offer and the next day it was mine! I can’t wait to move to Marina Del Rey – again! Pamela found a terrific place in Yorkville for me. She knows how competitive the market is and was able to prepare me so when I found the place I wanted I was able to get it. I was nervous about leasing my condo but I knew it had to be done. I discussed the leasing process with Pamela and was pleased to know she would be with me through every step. Pamela was truly a great pleasure to work with! She remained reliable, mindful of our budget, and very patient every step of the way. Agents like her are difficult to come across.